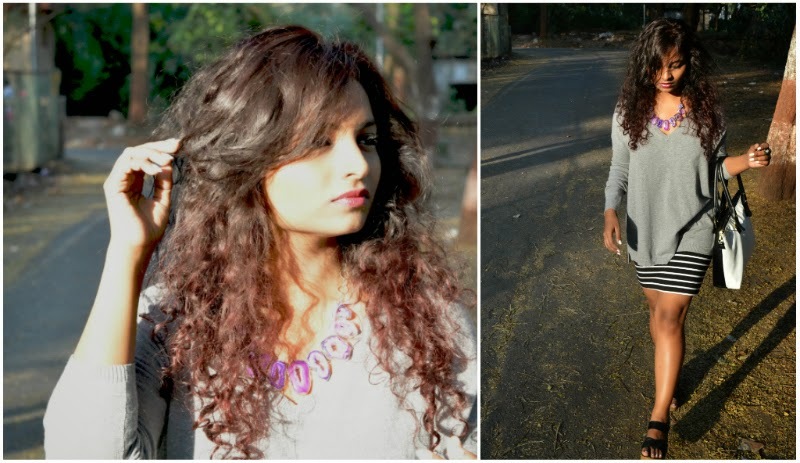 So you guys might know that recently I had a hair makeover at the Lakme Absolute Salon. Got a purple tinge to my locks and they suggested straight side bangs. Was in love with the way my hair felt and looked. So here's a look at them few weeks after the makeover. Purple color bled a little but there still is a purplish burgundy highlight to my hair. My hair is naturally curly so I have to keep working for the straight side bangs. I usually straighten it with a straightener or just skip it altogether sometimes. 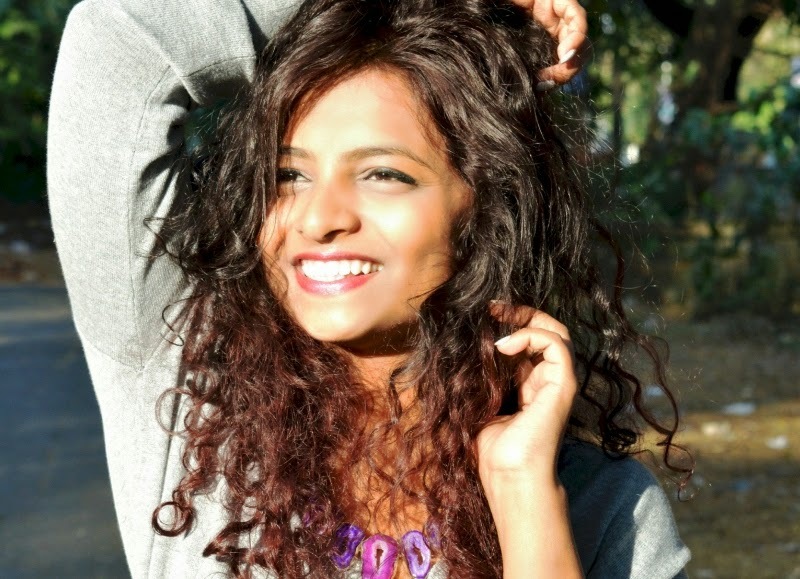 This shade of mane looks amazing with neutrals. And purple goes well with blacks, whites and grays. And these are the colors I have anyway been wearing a lot recently, so I am loving it! 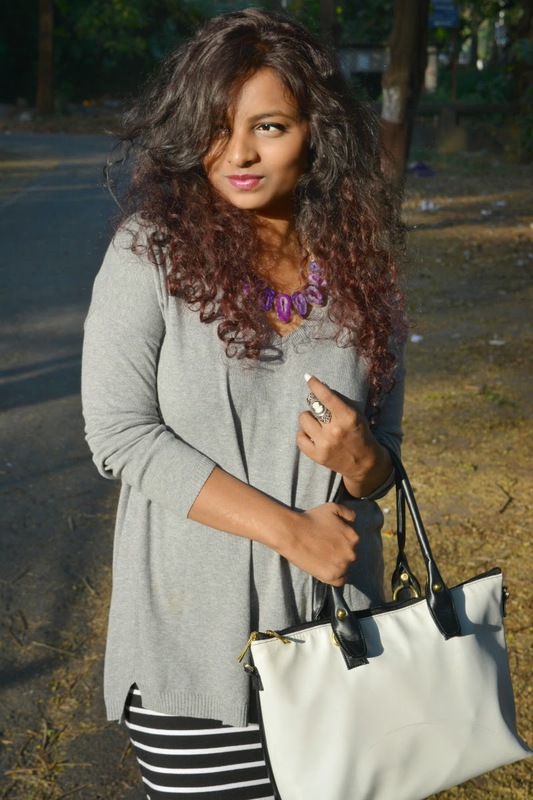 Currently I am gravitated towards over sized tops, knit wears or even tees! 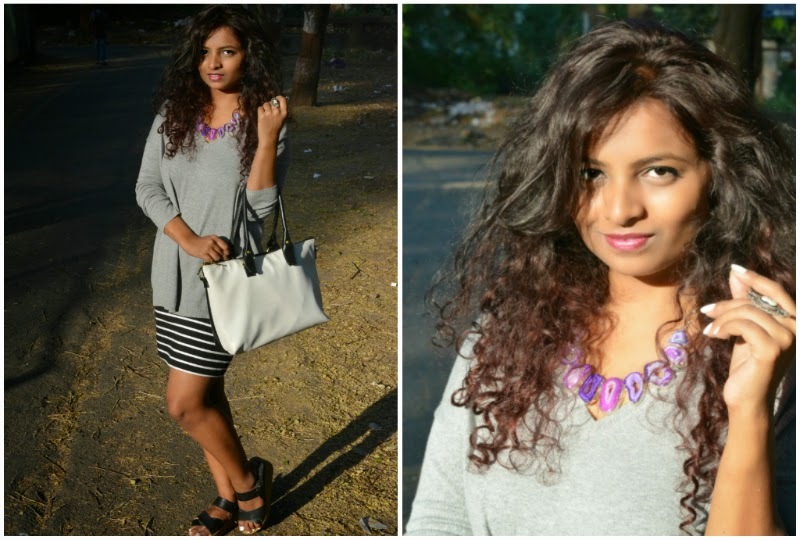 So in this look I paired an over sized gray knit with bodycon stripes skirt. 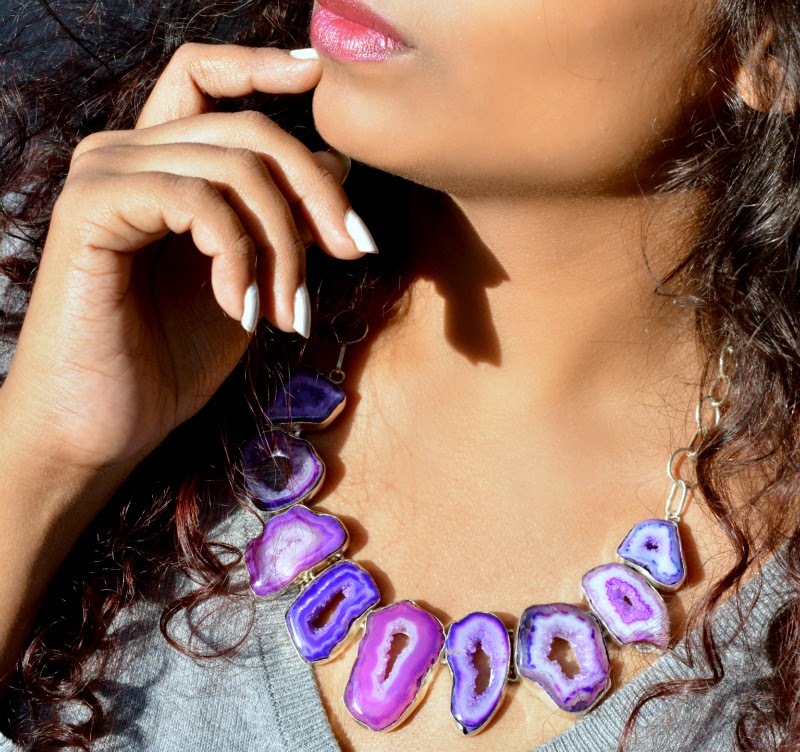 Gave it a dash of purple with the agate necklace from Blinglane. Plan to get lighter and even more purple hair soon.